Analog Devices SoundMAX Driver for Windows XP, 2000, 2003 and Vista. This driver is compatible with 32 and 64bit operating systems. 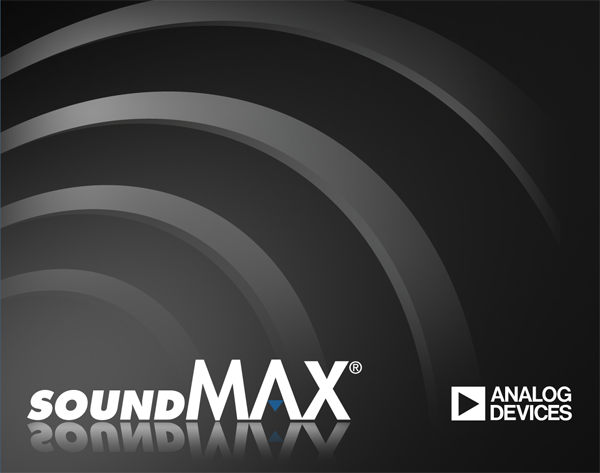 Analog Devices SoundMAX High Definition Audio (UAA / Azalia) integrated sound controllers driver. Note 1: It is always best to remove any previously installed SoundMAX driver from the system before installing a new driver. Note 2: On XP/2000/2003 Operating systems if Windows detects the audio device hit Cancel then proceed to Step 1. Upgrade" radio button, then press Next. Click on the Next and OK prompts as they appear. Windows XP/2000/2003: Reboot the system to complete the installation. Click on Start -> Settings -> Control Panel or click on Start -> Control Panel (depending on OS). Click on SoundMAX driver item from the list. Click Change/Remove. (A dialog box appears). In the dialog box, select Remove all and then press Next.